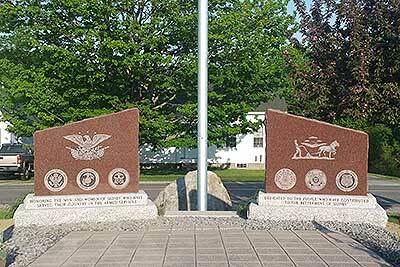 Sidney, a fast-growing, picturesque central Maine town of just over four thousand people, is located between Augusta and Waterville along the west side of the Kennebec River. Sidney was settled in the 1760's as part of Vassalboro and was incorporated as a town on January 30, 1792. The town was named for Sir Philip Sidney (1554-1586) who was English poet, courtier and soldier, and is remembered as one of the most prominent figures of the Elizabethan Age. Once an agricultural community known especially for its production of hay and apples, Sidney is still home to working farms and retains its rural character. Sidney's original nineteen schoolhouses have been replaced by the highly respected James H. Bean Elementary School that is part of the Messalonskee School District. Bordered on the west by Messalonskee Lake, Sidney is a welcoming community that offers recreational opportunities, successful businesses, an excellent education for its children, and friendly neighbors! Students from the James H Bean School delivered Hero Bags to the Shepherd Road Station to recognize Sidney Fire and Rescue Departments today, Thursday, February 14, 2019. 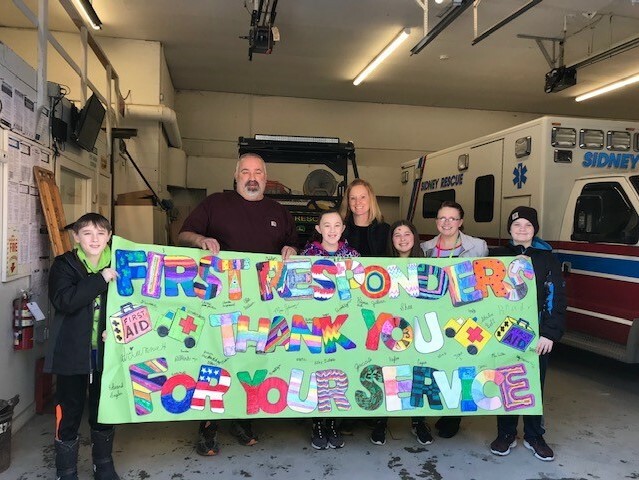 The Sidney Fire and Rescue Departments would like to extend appreciation for the time and effort the students put into purchasing, organizing, and delivering the Hero Bags. Such a thoughtful way to recognize the heroes of this community! From the James H Bean School - Mrs. St. Peter (Principal), Mrs. Johnson (Fifth Grade Teacher), and students. The United States 2020 Census is looking for temporary, local work. They pay $16.50 per hour and 58 cents a mile. Apply online at: 2020census.gov/jobs or call 1-855-562-2020. #5 PLASTICS in our recycling program! Sunday, April 21st in observance of Easter! Heat Fund Donations Being Accepted! There are many residents that have come upon hard times and are in need of heating aid. These people are employed and they generally are not eligible for General Assistance. By the generosity of those in better circumstances these families can be helped by the Town of Sidney Heat Fund. In order to keep this fund available we are asking for your help in donating what you can. Please make the check out to Town of Sidney and mail to 2986 Middle Road, Sidney, ME 04330 or stop by the Town Office and drop off what you can. We thank you in advance for your generosity.